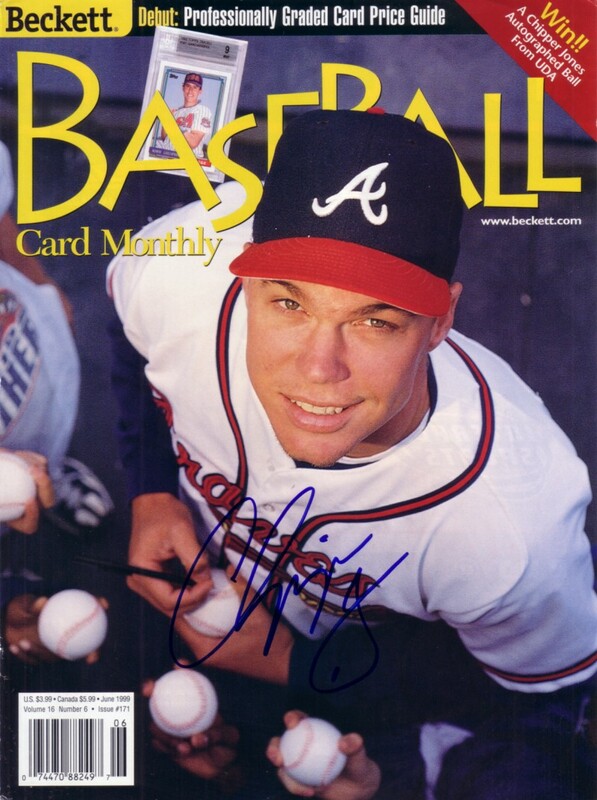 June 1999 Beckett Baseball magazine COVER ONLY autographed in blue marker by Atlanta Braves future Hall of Famer Chipper Jones. Suitable for framing. Obtained in person. With certificate of authenticity from AutographsForSale.com. ONLY ONE LEFT.